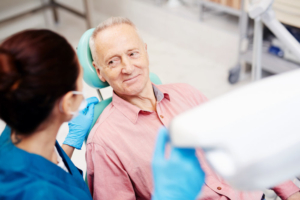 Dental procedures have specific recovery rules to ensure you heal quickly. In all cases, you should wait at least two hours after any dental surgery before eating to let the anesthesia wear off. Otherwise, you may bite down on a soft tissue that you are unable to feel. The following are specific instructions for particular procedures. Expect a few days of soreness and avoid chewing on the side of the affected area. Chewing also can displace the materials placed over the incision. You will be given antibiotics. If you notice escalating pain or tenderness, problems with the medication or damage to the restoration material call your dentist immediately. Avoid hot or cold food and drinks for the next few days while the new bonding is sensitive. It will feel normal after that. Your diet will be limited to soft foods for a few days. Common choices include ice cream, soup, pudding, yogurt, hummus, mashed potatoes, and gelatin. Should you have any questions, call (978) 537-8566 or book an appointment online.